Karen Bell is dedicated to providing her clients with a truly impressive real estate experience and is genuinely passionate about bringing her client’s dreams to life! Specializing in the islands of Sanibel and Captiva, her love for the islands and the coastal lifestyle is very present as she caringly serves her client’s specific priorities and real estate goals. 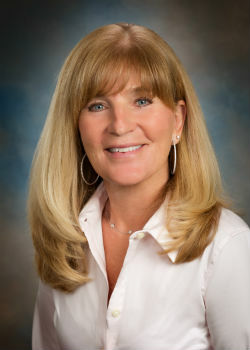 Since 1986, she has one of the most prominent brokers in the region and Recognized as the "Best of the Islands" Best Realtor in 2011, 2012, 2013 and 2017. Karen clearly understands the current regional trends and is able to consistently provide crucial, in-depth local market knowledge and deliver a wealth of real estate expertise to her local, national and international clientele. Through her comprehensive knowledge in the Acquisition and Marketing of Residential, Distinctive Luxury, Vacation and Waterfront Properties, Karen excels at executing on behalf of her clients with very skillful measures that achieve outstanding results. Karen’s clients enjoy her personal touches and appreciate her heartfelt care and compassion that she clearly exhibits in every interaction. It is truly her joy to ultimately fulfill her client’s request throughout the transaction and graciously serve them. Collaborating with her team, she works personally with each client to ensure that they receive exceptional representation. Her trusted and comprehensive guidance, immediate accessibility and timely answers to questions make her invaluable to her clients. In indulging her clients with first class service, Karen readily delivers results that are beyond their expectations. She is masterful at finding creative and equitable solutions to make each transaction come together with positive results. Her clients truly appreciate Karen’s efforts on their behalf and value the friendship that continues well after the keys exchange hands. In service to the local community, you will find Karen volunteering and dedicated her time and energy to many island and local non-profit organizations. As a resident of the Sanibel & Captiva Islands since 1979, she is also recognized as the co-owner of the popular Lily & Co. Jewelry Gallery.